(on most items, excludes shipping time). Campaign signs are durable true out the year. Our Campaign Signs promote political election campaigns for republican and democrat candidates elections and elections for mayor, commissioner, congress, city, county sheriff, local candidate elections senate house of representatives with billboard size corrugated plastic sign printing election yard signs and political election campaign corrugated coroplast lawn signs. By having your signs sprouting in many different places, the voters will have the impression that your campaign is receiving widespread support across the district. You are someone to know! 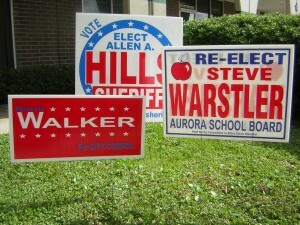 The Campaign yard signs are one of the cheapest and most important forms of advertising. One well placed campaign sign on a high traffic road can be seen by several hundred people in just one hour. Several thousand people a day can see this one well placed sign. 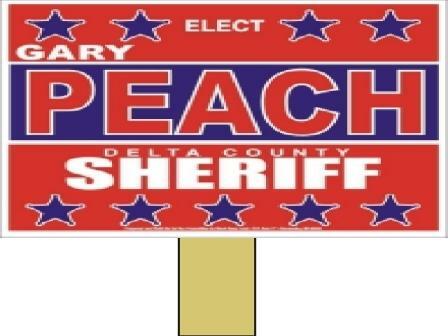 One campaign sign, at a very low cost, can impact several thousand people a day. A few well placed campaign lawn signs will drive your name in the brain of thousands of people in a community. 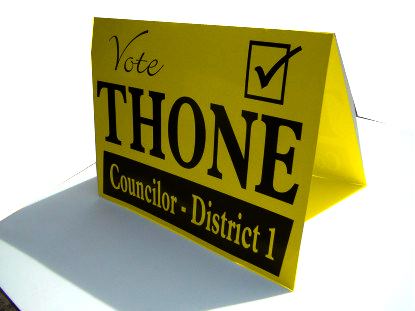 For this reason, a campaign sign is one of the cheapest and most effective means of advertising, they win elections. 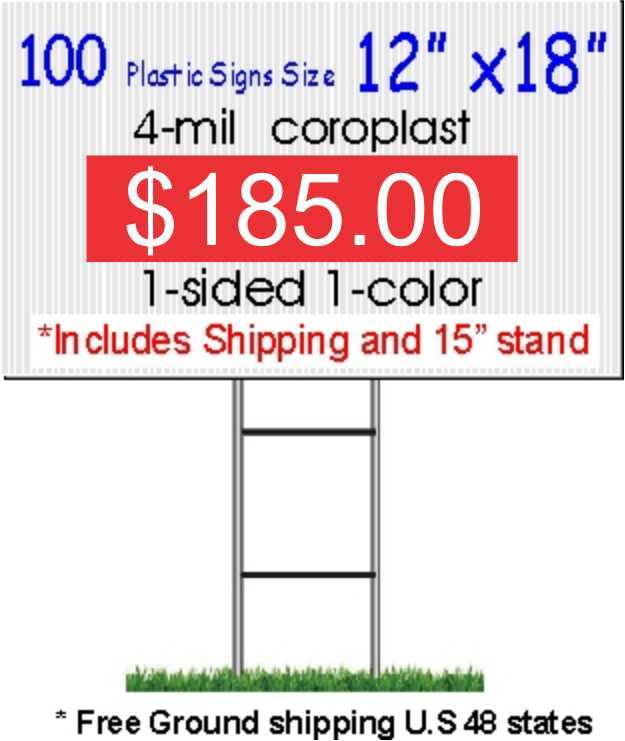 Yard signs are a “must have” for any political campaign, no matter how small or large. Signs raise your name ID, reinforce your message, and excite your supporters to get out the vote on Election Day. The simplest way to use your signs is also the most effective: find supporters to place the signs on their lawns and street to show widespread support for your candidate.